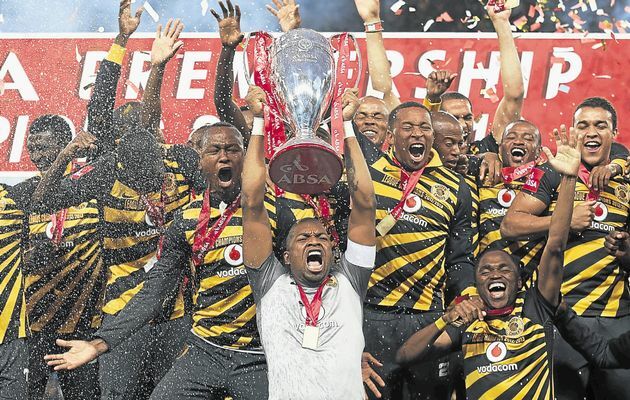 Kaizer Chiefs, though Steve Komphela will have to find a proven goalscorer. Itumeleng Khune and Siyanda Xulu are top quality and Willard Katsande vital. SuperSport United have made some cute signings, Sundowns, Wits and Pirates are also in the shake-up. Remember, Stuart Baxter did it in his first season, surely Komphela can too with the experience they’ve gained. Chippa United’s coaching merry-go-round deserves relegation and what Golden Arrows did to Shaun Bartlett feels similar. Those two to go finish bottom, though Free State Stars will probably need another later “miracle”. This is assuming Jomo Cosmos make some late loan signings. Willard Katsande: Integral in Chiefs record-breaking title success last season and best defensive midfielder in the PSL. Thabo Rakhale: If he makes a regular start and digs in when the going gets tough, his extravagant skills will earn him votes. Sibusiso Vilakazi: If he settles back down at Wits (or moves). Probably the best quality player in terms of touch and engine in PSL. The one player I’d choose for an overseas move in SA. This is tough. So few real transfers, so little transparency on contracts. Siyanda Xulu is the obvious choice but it depends on how much he’s earning. Still, a free transfer has to be a bargain for Chiefs I guess. Dove Wome at SuperSport United has always been quality, but can Gordon Igesund get the best out of him? Elias Pelembe has taken a pay cut to go to Wits and Gavin Hunt should be able to rekindle the Mozambique captain’s spark. Depends what we call young. Hendrick Ekstein will be a sensation if he gets a start at Chiefs but he’s 24 already, Xulu and Dolly are younger. Siphelele Ntshangase would be the one but he’ll stay at Leopards in the NFD if nobody has the courage to actually make a decent bid to get him in to the PSL. There’s a kid called Keano Cupido at SuperSport in the Amajimbo U17 World Cup qualifying squad. If he gets the early call-up… or if ANY of those talented kids do well in Chile in October… Mondli Mpoto the keeper is another. SuperSport United have spent big and wisely under Gordon Igesund, if he can blend the talents of men like Bongani Khumalo and Michael Boxall, they will be the big shock. And they have goal-scorers. Jeremy Brockie’s nose for goals is VITAL. Serame Letsoake at Golden Arrows. Took the job amid scandal and won’t last long. The former Bafana number two appears to have been appointed by the chairman of another PSL club, but let’s not go in to that! Kaizer Chiefs will win the League again because they have kept the majority of their squad from last season, Khune has returned, and Steve Komphela is a very capable manager who is hungry to prove himself. Tactically he is not far behind Stuart Baxter and he’ll get the team to keep on clicking. I would have tipped Sundowns but not replacing influential captain Alje Schut is going to come back to bite them, as is Pitso Mosimane’s attempt to placate a bloated squad. SuperSport, as well as they have signed, still don’t have the quality to last a full season and challenge Chiefs for the title. Jomo Cosmos and Polokwane City. Cosmos have not signed PSL material and neither have Polokwane. I can’t see City staying up again as the League is more competitive than ever. 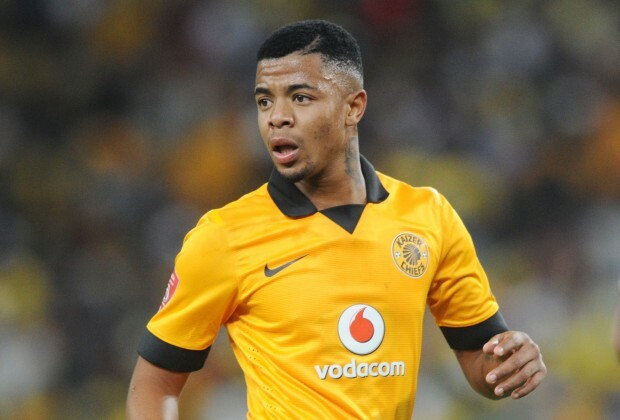 George Lebese will want to prove that rejecting a Turkish move to stay was because he wants to prove that he is one of the best players in SA. Khama Billiat was excellent last season despite missing a large chunk of it through injury. This time, should he have a full season, he will kick on to greater heights. Sibusiso Vilakazi, a PSL player of the season recently, will benefit from the signings of Daine Klate and Elias Pelembe and have an even better season than when he won it previously. Siyanda Xulu is proven quality, formerly of Chiefs and will fit in easily. A top centre-back. Michael Boxall could still prove a great free signing despite his shaky start. Daine Klate will add loads of experience to a young Wits side. Although expensive in terms of wages, what he brings to the table certainly outweighs that. 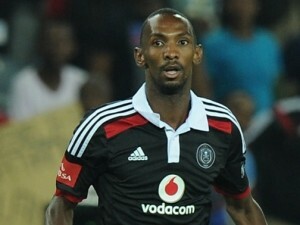 Thabo Rakhale is proving that he’s not just a showboater, but a quality player going forward, and has a finish to match. Keagan Dolly has a lot to prove at Sundowns, and his form for the U23s suggests he is ready to take his game to the next level. Riyaad Norodien is one of the most exciting SA talents from the Cape in many years and I expect him to thrill the crowds just like he did in his limited appearances last season. Roger Sikhakhane at Chippa United – obvious! Sundowns – I think that had it not been for Chiefs being untouchable in 2012/13 and 2014/15, Sundowns would have won the league twice more. This season, with Chiefs in a bit of a transition with a new coach and new team I don’t think they’ll be as dangerous. Pirates have disruptive CAF to deal with early on and I’m not sure Wits are quite ready to win the title yet. Jomo Cosmos – They’re a yo-yo club at the best of times, and I’m not sure they’ve bought well enough going into this season to avoid the drop. Chippa United – I’m not sure they’ve improved their squad enough after last season, and with their known instability I reckon it’ll bite them in the arse. Thulani Hlatshwayo – I think Tyson was superb for Wits last season and if they are going to make a push for silverware this season then I think he’ll play a big, big role in that. Tsepo Masilela – When fit there is no fullback in South Africa that gets close to Tsepo. His reading of the game and experience will be even more evident now following Tefu Mashamaite’s departure. Jeremy Brockie – He’s the first striker I’ve seen in SA recently that could genuinely reach 15+ league goals if given the right supply. Has the opportunity to be huge now he’s got a full season to go on. Siyanda Xulu – Chiefs ended up getting Siyanda for free after he left Rostov. Big signing with European experience and still young. Could be vital for Chiefs this season. Bongani Khumalo – Another player who was a free agent and returned to the PSL. He’s big, strong and has a wealth of experience to him. Might be a bit of a pillar in SuperSport’s defence. George Chigova – Polokwane City got Chigova for next to nothing from SuperSport due to his lack of game time, but he’s a really talented goalkeeper and City are team whose ‘keeper will always be busy. Menzi Masuku – A really exciting one for me. Sadly he’s been caught a little bit too late, but he’s still young enough to improve greatly. Could be a big season for him. Keagan Dolly – It’s a big make or break for Keagan this year. He looked really, really good in the MTN8 and I think he’s Pitso’s kind of player. Could learn a lot from playing with Teko. Riyaad Norodien – Sadly he’s burst onto the scene much later than he should have done, however he looked crazy exciting when he started last season and I think he’ll be even better in 2015/16. Platinum Stars. They’ve got Cavin Johnson back and have bought smartly in the transfer window. I think a culmination of those two factors could see them make it back into the top eight. Serame Letsoaka – Golden Arrows. Mamelodi Sundowns – despite not replacing Alje Schut, they have such a deep squad with so many attacking options. If Billiat, Ngele and Dolly have develop some understanding and Malajila can continue to both create and score goals for teammates, they should outscore most teams. Chiefs have signed players who hardly set the league alight last season and although Xulu will do a good job in replacing Mashamaite, I can’t see them being as consistent as last season and I do see them really relying on a few key men in attack. Jomo Cosmos – They just don’t look to have added enough genuine PSL quality to their squad. Chippa United – After starting last season quite strongly, they went into absolute free-fall and were even drawn into the relegation battle with a few weeks to go. They have lost some good players and appear to have signed several players who may not be PSL standard. Issa Sarr – a player a really like and who has made Pirates a lot better since he arrived to replace Andile Jali in midfield. His height helps the side for set-pieces in both boxes and his calm passing and breaking up of play makes him a crucial man for the Buccaneers. Khama Billiat – not far off being the best player in the PSL on paper, it’s now time for him to remain fit for an entire season and started to deliver double figures for both goals and assists. He wasn’t far off that last season, but keeping injury-free is his biggest issue. There is also more competition now with Dolly and Ngele to push him. Bernard Parker – last season, he had a very mixed season and really struggled as the number 9 once Kingston Nkhatha had departed. However, his goals and assists tallies when used as a number 10 were highly impressive and even though I’m not sure Chiefs have any really good number nines to call on, it does look like Parker will be back in a deeper role where he can link the play. I’ve gone for some players I think are really under-rated and may surprise a few people. Lantshene Phalane – one of the few Swallows players who performed well last season and Celtic have now snapped him up. He is an aggressive, left footed defensive midfielder and alongside Bulelani Ndengane (a hugely under-rated player), Celtic have a central midfield pair who will be a nightmare to play against. Mogakolodi Ngele – he joined Sundowns a year ago but is only arriving at the club now, so I’ve included him. He wasn’t even a regular starter for Platinum Stars but I think at Sundowns he will excel and score loads of goals. His hattrick and performance against Orlando Pirates last season was the season’s outstanding individual performance. Watch out for his long-range goals and freekicks. 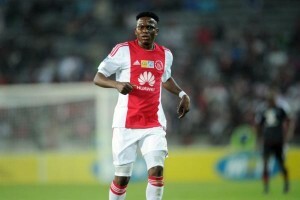 Ndiviwe Mdabuka – Ajax have brought him back to the club after two seasons at Vasco in the NFD and he will add so much steel and athleticism to the side, as already shown in the MTN8 win against Orlando Pirates. Ajax have struggled in away games for several years and he will really help to make them less of a soft touch. Phumlani Ntshangase – This is an easy one as he has been pivotal to Wits for over a year already. A calm defensive midfield who can cover in defence and takes long throws, it’s really baffling how he hasn’t had numerous national call-ups already. Menzi Masuku – An absolute breakout performer last season after his Diski performances got him some attention. Not involved much since May but should he get regular chances, he has shown he can score goals. Riyaad Norodien – A superb talent who has shown his close control and burst of speed already in his few outings and there is so much more to come. South Africa’s Eden Hazard, at least in terms of his style of play! I think Platinum Stars will have an excellent season, but that’s almost to be expected when you add quality like Siboniso Gumede, Bongi Ntuli and Robin Ngalande to what was already a very talented and very deep squad. My surprise package is actually University of Pretoria. Okay, they have problem areas at fullback and in central midfield, but their attacking options for the two wide positions and two striking positions look very useful. They have signed exciting players who can score goals in Thabiso Nkoana, Sphamandla Dlamini, Lennox Bacela and Getaneh Kebede. I also see Thabo Mnyamane continuing to improve.